Travel Writers can benefit from learning a second or third language, especially if you travel frequently to other countries. While many people around the world do speak english (quite well, too, and more speak english well enough that you can get by), the vast majority of people you’ll encounter will truly appreciate that you are trying to communicate with them in their language. True, many travel writers often rely on local guides to also act as translators, but you miss so much by not being able to understand what’s being said around you. Speaking another language can take you far. You’ll be able to communicate with the locals and show that you took an interest in learning something about their culture. Plus, it will be easier to bargain with vendors if you can speak their native tongue! A language software such as Rosetta Stone can help you learn a second or third language in no time. 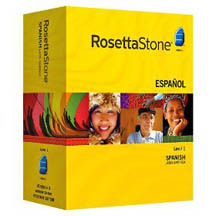 For those who like convenience, Rosetta Stone offers an online version of the program as well. You’ll be able to access it from anywhere, which could come in handy when you’re traveling. This is not the software for you if you like dictionaries and translators. The purpose of the language software is for you to retain and translate a language yourself. Being able to understand more of what is being said — and going on — around you can help you to really capture a deeper appreciation of the place you’re visiting, which can definitely help travel writers to produce better travel articles. And sometimes, the humor in attempted-but-failed communication can also make for some excellent travel writing! If you’re interested in being fluent in several different languages, consider trying the Rosetta Stone language software. Traveling will be more interesting, and you’ll come home with more interesting travel articles! How do you cross the language barriers? Share your learning experiences! This entry was written by Amandah Blackwell, and posted on Wednesday, August 26th, 2009. Learning Esperanto certainly can enrich your experience when you are on your travels. Although it has a relatively small number of speakers, they are widespread, and there is a network of Esperanto-speakers willing to meet and help visitors. I’ve made a lot of use of the language. I recommemnd it. Leaning a new language can be invigorating. It challenges the mind and comes in handy when you travel. Rosetta may somewhat pricey, but it could be a worthwhile investment. I have often wondered if those Rosetta Stone books worked, now I know because hey, I trust you guys. Thanks, I might look into them when in the future. In the meantime, i am heating to MyItchyFeet. Thanks! I am a linguist by training (my love for travel and, subsequently, my travel writing can be partially attributed to the years I spent living abroad to study languages for my degree), and I agree that there is immeasurable benefit to speaking as much of the language as possible. 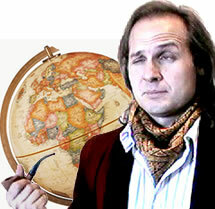 In addition to being a gesture of good will and enabling richer connections with local people, knowing a bit of the language provides cultural clues that non-speakers miss. Thanks to everyone for the great comments! As Kim pointed out, “slang” terms may have a different meaning in another language. It’s possible that there isn’t a translation for them. I’m reminded of what I was told when I volunteered to help out at the International Children’s Games in Cleveland, OH a few years ago. Watch your use of “hand gestures.” Giving the thumbs up sign which means “ok” or “way to go” in America could be a sign of profanity in another country.